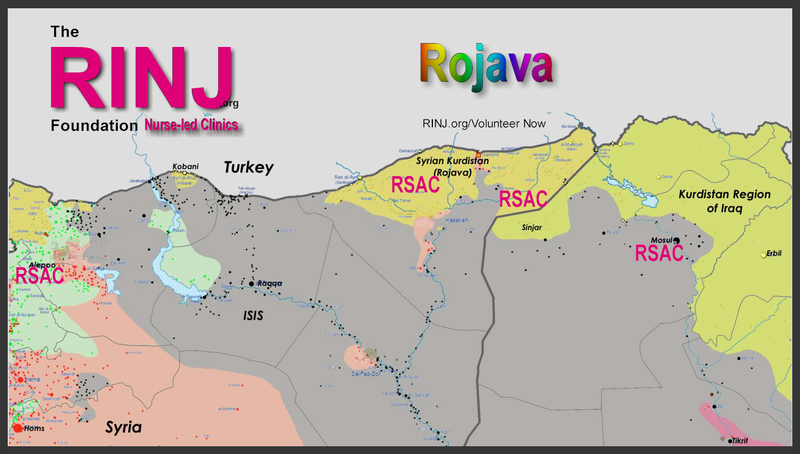 Rojava RSAC's are Nurse-led medical clinics treating patients in combat zones and refugee camps. Similar units are in or on their way to many parts of the Middle East and African nations. New locations are planned. The RSACs offer free medical care to women and children. Community related services such as general medicine, general health care (the latter two categories apply to Rojava), victim advocacy, crisis hotlines, community outreach, & education programs are provided based on each RSAC's resources at the discretion of the local RSAC nurse-led team.